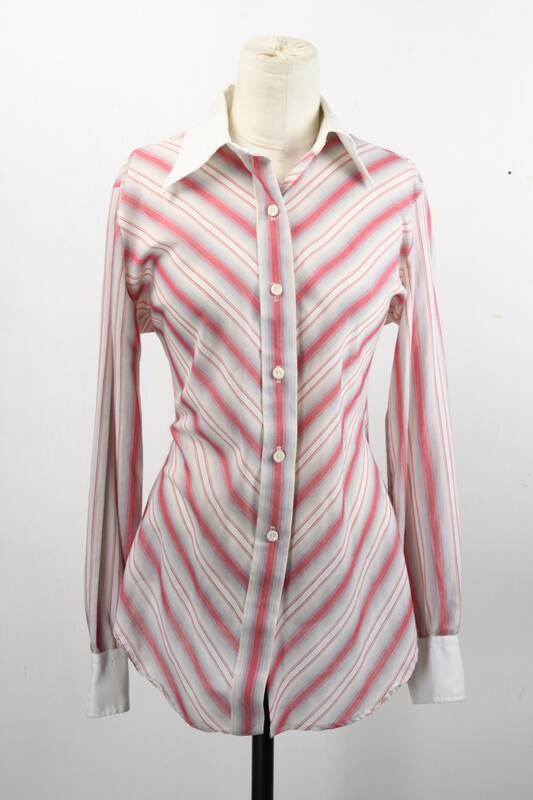 This vintage blouse by Eric Bentley is in stunning condition! 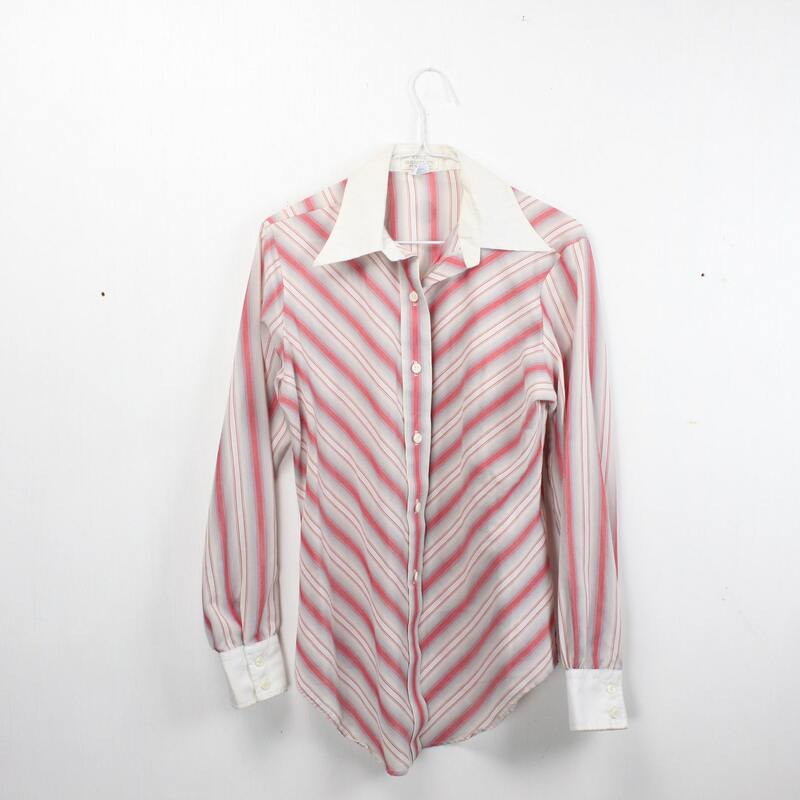 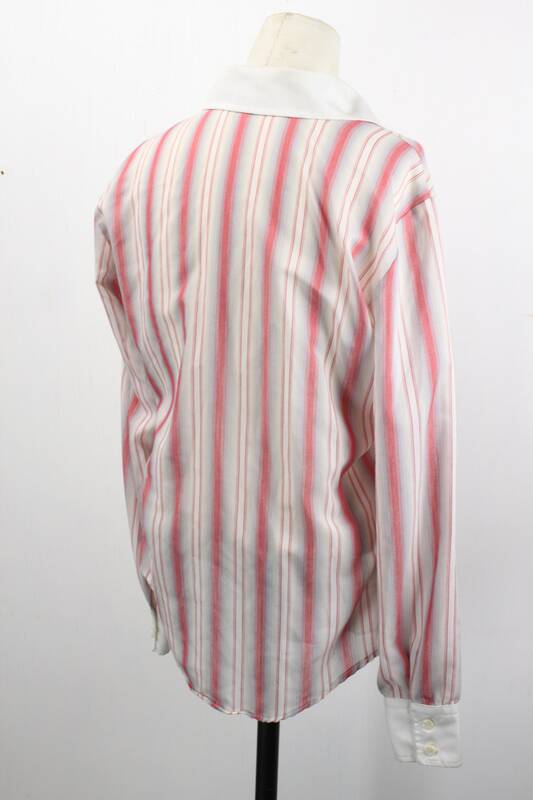 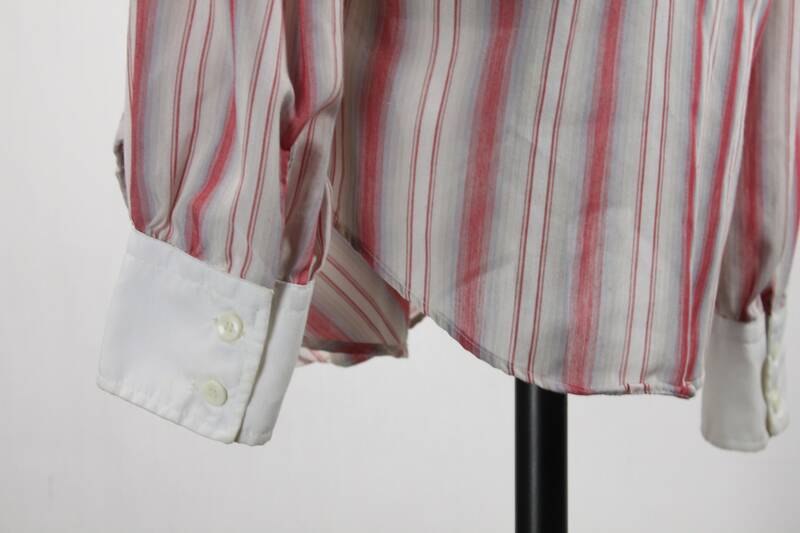 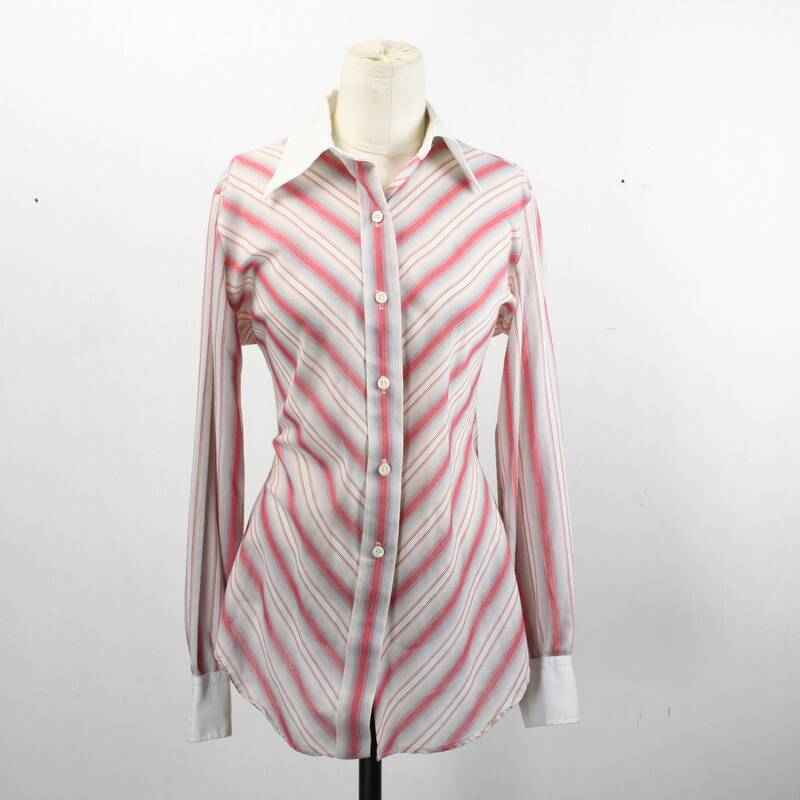 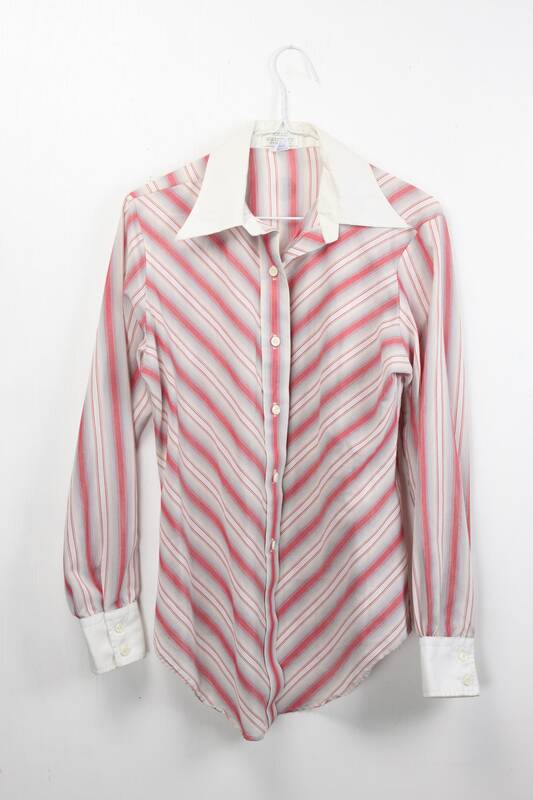 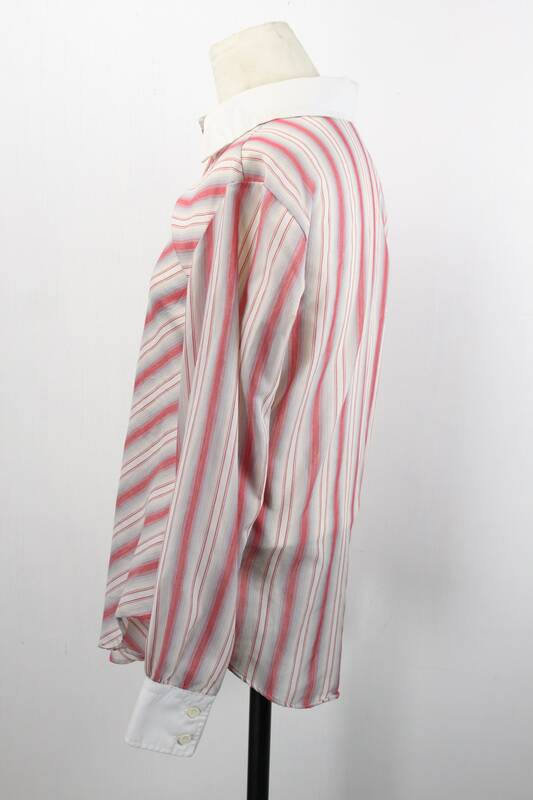 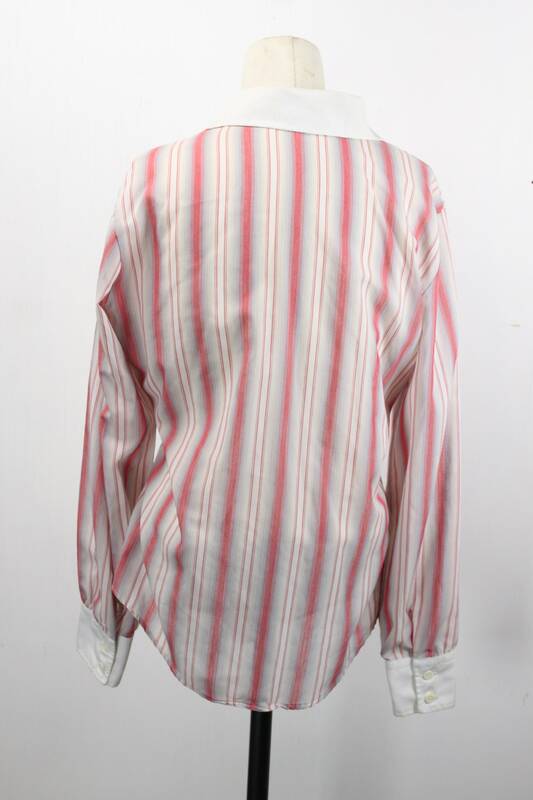 The blouse features an amazing white and red, diagonal candy stripe pattern. 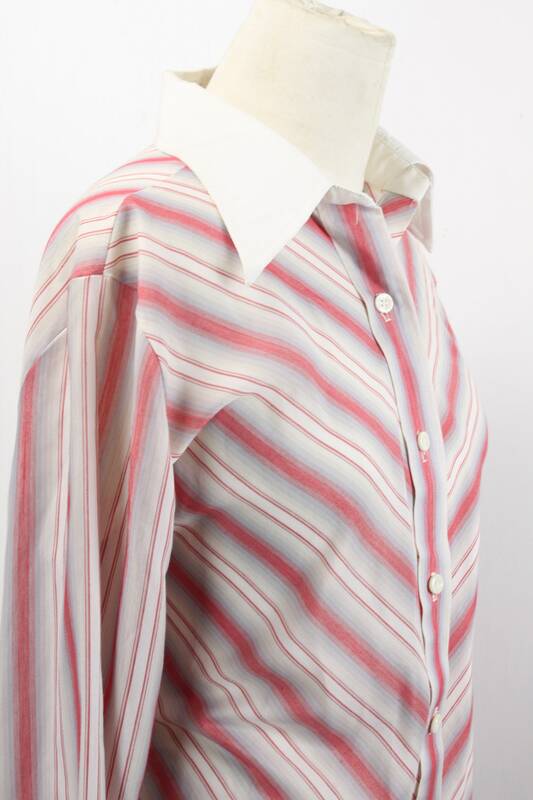 This shirt has a 5 button front closure, butterfly collar, fitted cut, buttonless collar and two button cuffs.